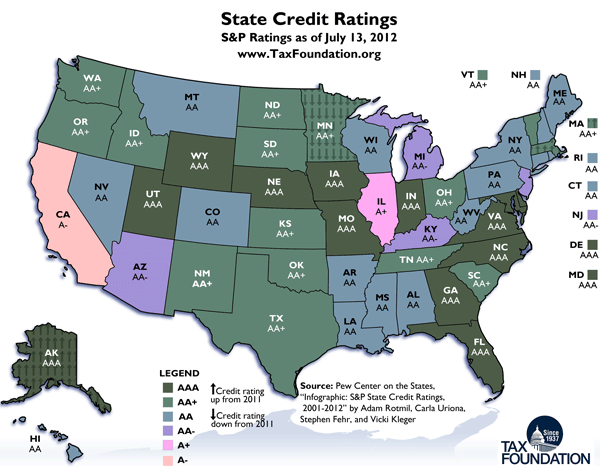 Today's Monday Map is an update of last year's map of state S&P credit ratings. Since last year, Alaska has been upgraded to AAA, Massachusetts has been upgraded to AA+, and Minnesota has been downgraded to AA+. The data comes from the Pew Center on the States. Click on the map to enlarge it. View previous Monday maps here.